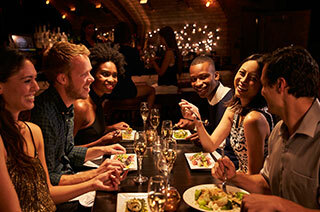 There is an abundance of fantastic restaurants in Downtown Boston! Below you will find just a handful of our favorites. If you are looking for more information, contact us today to learn more about the Downtown or schedule a showing to view your next home as early as next business day. Artisan Bistro: Modern American bistro at the Ritz-Carlton. jm Curley: Creative takes on comfort food popular among the after-work crowd. Legal Crossing: Located in the Millenium Place development. Upscale eatery from the Legal Sea Foods brand. Marliave: Romantic Italian eatery offering a "dollar oyster" special daily. The Merchant: American cuisine with an extensive draft list that draws in a large after-work crowd. Silvertone Bar & Grill: Long-standing subterranean restaurant with a mid-century vibe. Sip Wine Bar and Kitchen: Delicious assortment of wines and an extensive sushi selection. Stoddard's Fine Food & Ale: Housed in an old corset shop and filled with Boston relics. Impressive beer selection draws in the nighttime crowds. Teatro: Popular among the pre- and post-theater crowds. Offering delicious Italian food in a dramatic setting.